BRUSSELS (ANA/Ch. Vassilaki)—Cyprus government spokesman Nicos Christodoulides called President Nicos Anastasiades’ meeting with Greek Prime Minister Alexis Tsipras on Friday in Brussels “constructive”. In the meeting held on the sidelines of the EU Summit, the two top officials focused on five issues, said Christodoulides. On his part Anastasiades briefed Tsipras on the latest developments in the Cyprus issue and expressed his sorrow over Turkey’s decision to not participate in the dialogue and his readiness and wish the dialogue to start as soon as possible. Tsipras briefed Anastasiades on the condition in the Greek-Turkish relations and they exchanged views on the prevailing condition in Turkey and the imminent referendum which as they said, has an impact on the Turkish government’s attitude. Moreover, they discussed the imminent tripartite meetings between Cyprus and Greece and the neighboring countries (Israel, Egypt, etc). 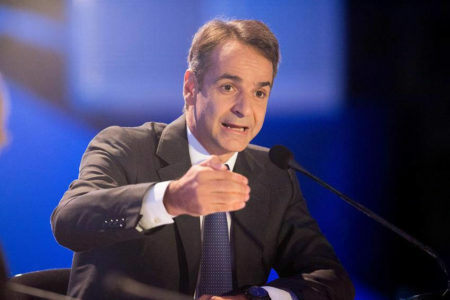 “We should expect a meeting very soon, in May, which will be held in Greece” said Christodoulides.